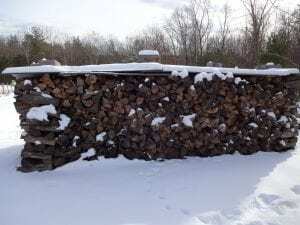 When temperatures are this cold, my woodpile seems to noticeably shrink each day. Temperatures have been sub-zero for a few days now in a row. Before apparently warming up, temperatures are supposed to dip to -10 or lower in the higher elevations. Makes you glad you have hardwoods to burn instead of just spruce or fir like they do in some northern areas. 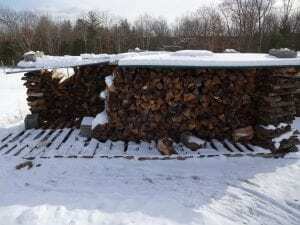 Tags: Catskill Forest Association, Catskill Mountains, firewood, woodpile Categories: What's New?